A few weeks ago I stumbled across an article about THINX, a new company that is innovating women’s underwear. 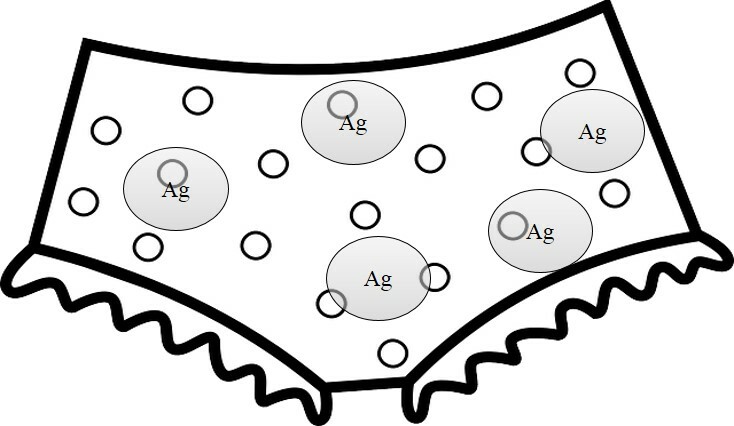 They are using existing technologies to improve women’s underwear; specifically a special “silver treatment” for its anti-microbial properties. I was very excited about this because I have read about the antibacterial properties of silver, especially silver nanoparticles, and how they are being used in consumer products. (For example, see our post on silver in socks.) Unfortunately, THINX did not provide more information about the technology they were using to make their products so I don’t know for sure whether they’re using nanoparticles or “bulk” silver. This made me wonder, why wasn’t the company more specific about the technology behind their “silver treatment”? 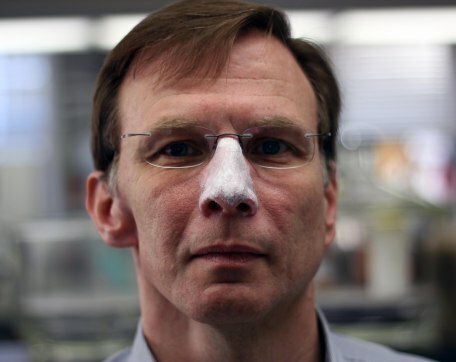 Remember Dr. Pedersen’s post about nanoparticles in sunblock? Although silver particles have been used for their antibacterial properties for years, few companies acknowledge that their products contain nanoparticles. 11 It is possible that companies share the “chemophobia-phobia” discussed in a recent Scientific American piece.12 Survey results from the Royal Society of Chemistry suggest that scientists are concerned about the general public’s ”chemophobia” (a fear of chemistry and chemicals), but that it is not as prevalent as the scientists think. In reality, survey respondents were not that frightened of science and said that they trust chemists and think their work is fascinating. This study highlights the fact that a large portion of the population believes that the science is worthwhile and the benefits outweigh the risks.12 So maybe companies are like the chemists in the survey, and their fears of people’s reactions to nanomaterials are unwarranted or too paranoid. While there are many benefits to using nanomaterials, which we have discussed in previous posts (e.g. anti-counterfeit technologies; cosmetics; environmental cleanup; food safety; prosthetics; and smog control), a lot of unknowns still remain.14 A fear of adverse public reactions might keep companies from publicizing their use of nanomaterials. All of these factors contribute to why companies may try to avoid dealing with such situations and stay quiet about the use of nanoparticles in their products. This is complicated by the fact that public opinion is definitely not unified on the issue. For example, Listverse has a list of ten ways nanotechnology will positively revolutionize the world and how we live; 15 at the same time, groups like the Friends of Earth publish reports about the dangers of nanomaterials and claim that the risks do not outweigh the benefits.16 Even if the products are not harmful, confusion and misinformation could lead customers to be afraid of buying them. So how can we help companies and the public have realistic views of the risks posed by nanoparticles? One important approach is for researchers to help inform the public (both companies and consumers) about scientific discoveries and progress in nanomaterial development so that they can be more informed rather than afraid of new technologies.17,18 Indeed, this is one of the main goals of our blog! Many other organizations are also contributing to the effort to understand public concerns and share current research. For example, the European Parliament Science and Technology Options Assessment created a report to address safety about engineered nanomaterials. They concluded that more policies and regulations are needed, partly because assessing the risks of nanomaterials is so tricky. Many different variables are involved in understanding how various nanoparticles behave, such as their size, shape, core and coating materials, and how they behave at different temperatures or in contact with different materials. 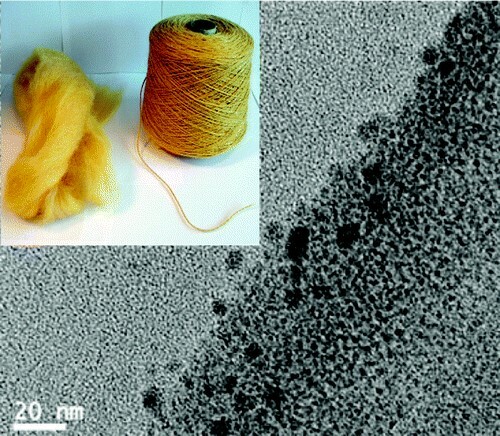 Understanding how these and other variables affect nanoparticle behavior (including both what we want them to do and what we want to avoid) is an important motivation for research in the Center for Sustainable Nanotechnology. While companies like THINX might debate whether or not to include all the contents of their products on labels, the mission of this blog is to provide information about nanomaterials and scientific discoveries and procedures that pertain to the work we do as a research Center. But in order to help the public stay well informed about how technology is impacting our lives, we need to know what you want to know! We would love it if you, our readers, shared some of your questions, observations, and concerns with us. Use the comments below, the “suggest a topic” button on the left side of this page, or chat with us on Twitter or Facebook. We look forward to hearing from you! Deardorff, J. Some antibacterials come with worrisome silver lining. Chicago Tribune, Feb 16, 2014. Rowe, A. 10 Man-Made Nanomaterials With Futuristic Powers. Listverse, May 11, 2015.
Who Reads Sustainable Nano? You Do!